There are definite benefits to going out when the wind is gusting 22mph; you get a castle to yourself. Last week, Daz was in charge of choosing where we went. 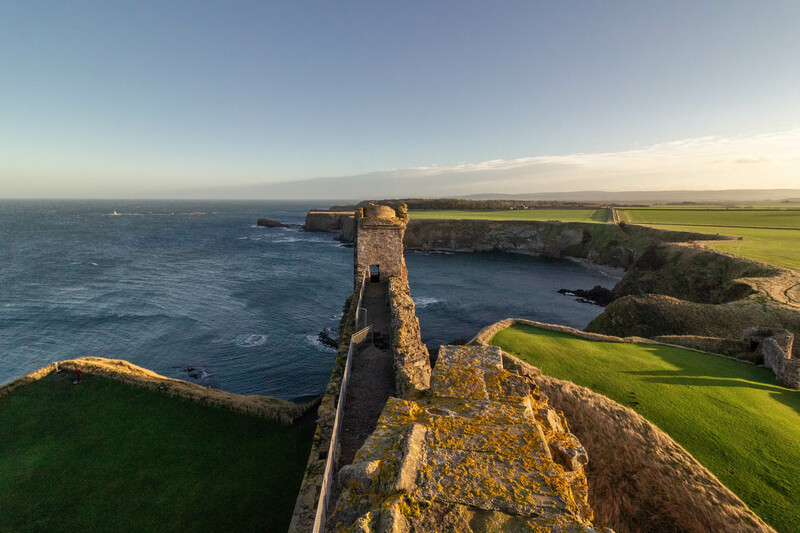 We had a walk along cliffs planned but when we saw there was a wind warning in place, we regrouped and decided to check out Tantallon Castle in North Berwick. The "semi-ruined" castle dates from the 14th century and was destroyed and abandoned in 1651. When we were walking up to the castle from the ticket office, I was trying to imagine what it would have been like to approach it before it was destroyed. 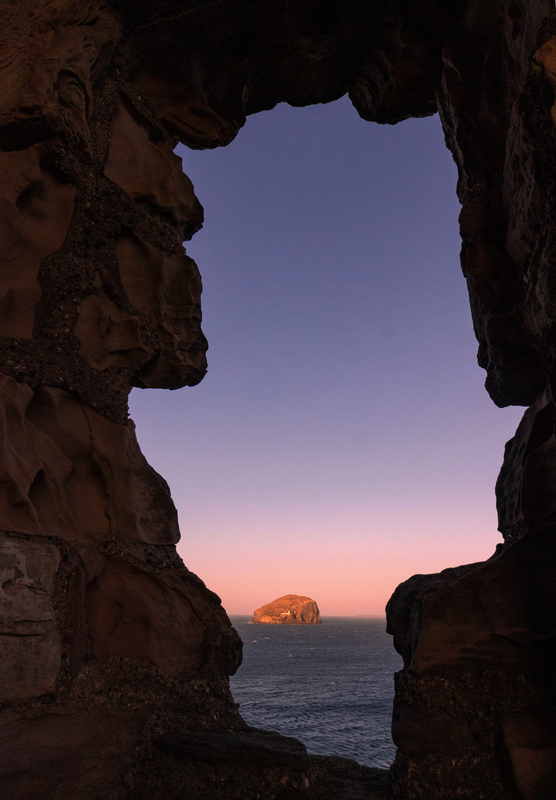 Tantallon Castle is perched on the edge of a cliff, looking out towards Bass Rock - which David Attenborough has called a wildlife wonder of the world, by the way. We haven't been there yet but hear it's good; and if Sir David loves it, I'm sure it's more than good. While the castle is semi-ruined, you can access most of what is left and get a good feel for what the castle would have been like in it's glory days. 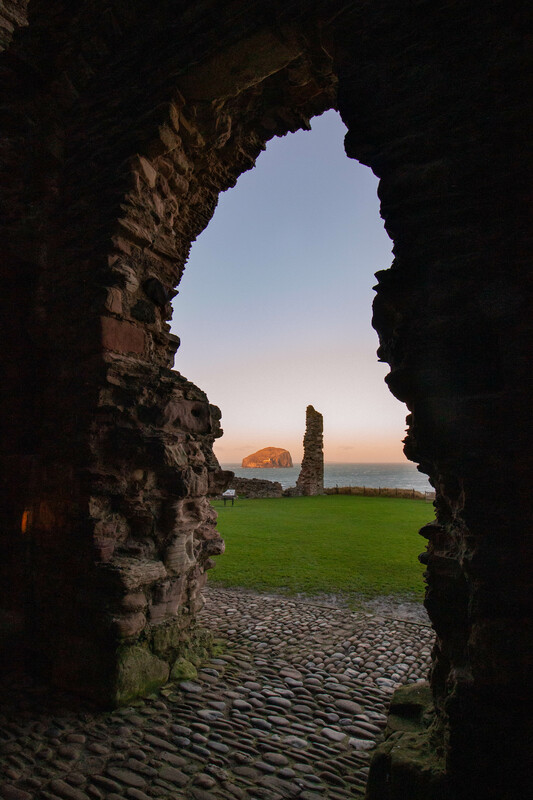 A couple of stair cases take you right up to the top of the ruins, giving you fantastic views of the grounds and North Berwick. 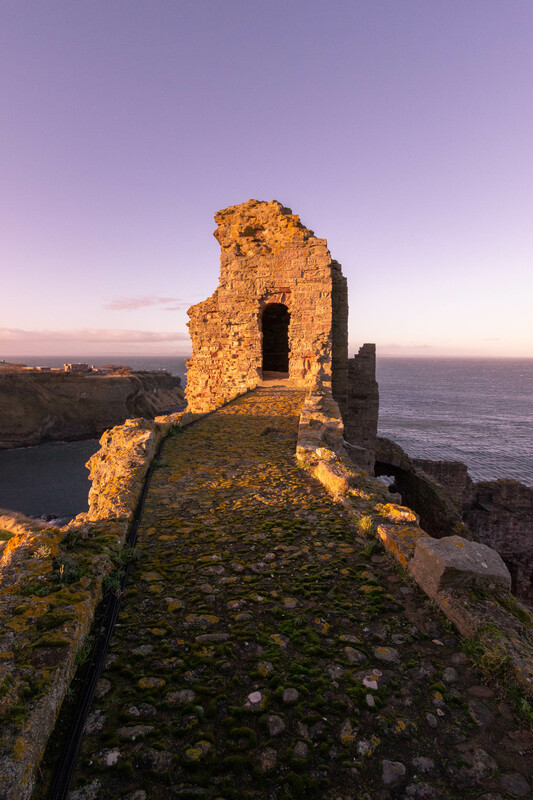 The whole time we were there, the low winter sun cast this warm, cosy, magical golden light over the castle and the cliffs. 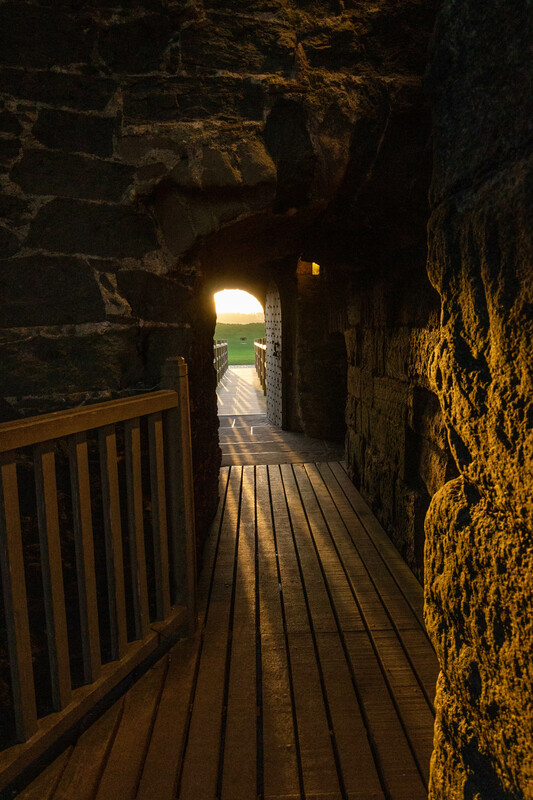 The castle closes at 16:00 from 1st October - 31st March, and at 17:30 from the 1st April - 30th September. If you can, I recommend trying to time it so you can visit during the winter and seeing golden hour or the sunset. 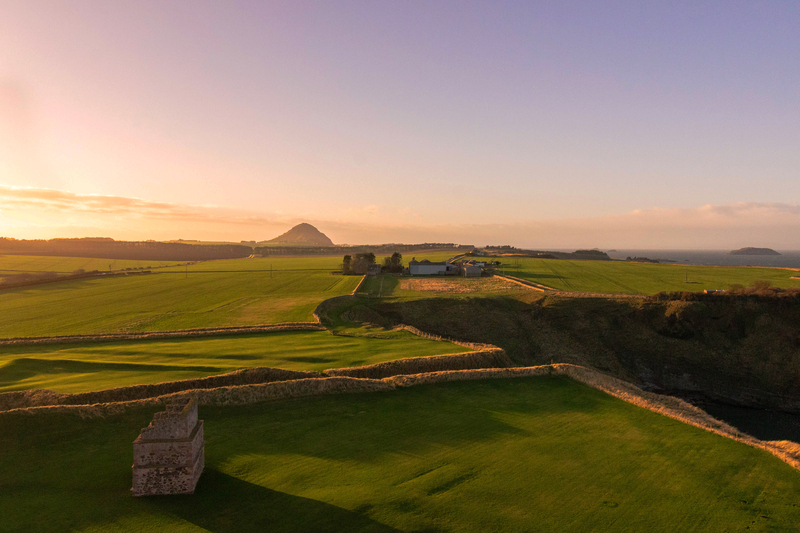 If you can't do that, you're still going to have a fantastic time exploring this castle and soaking in the views over the sea one way, and over the fields and laws when you look the other way. You won't be disappointed. 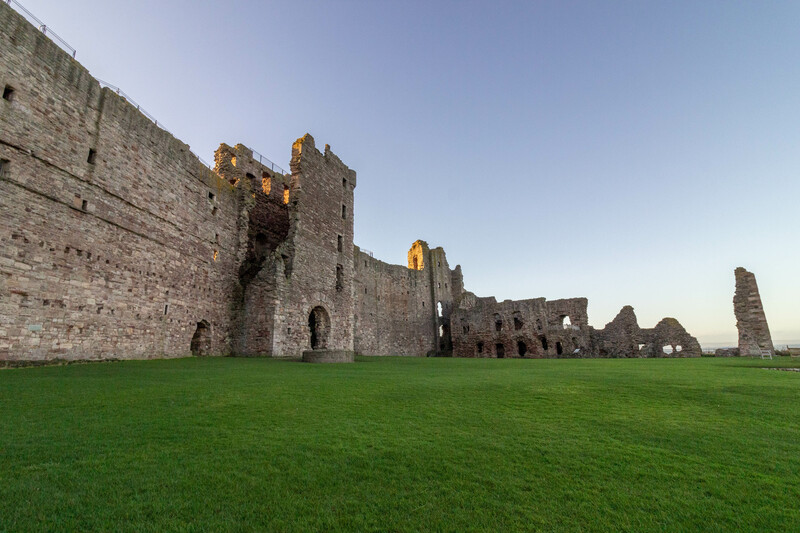 If you're interested in the practicalities of exploring Tantallon Castle, I've included some information about how to get there and public transport at the bottom of this post. I'm going to let the photos do the rest of the talking now. The approach to the castle and the castle grounds are fairly flat, making them suitable for all ages. As you might imagine, there are a some tight staircases if you want to get up to the top of the castle - which obviously wouldn't be suitable for everyone. That said, I think you could still have a great time exploring the grounds, the ground floor, and taking in the views. I plan on taking my Nan here when she next visits - so I'll update this with her thoughts. 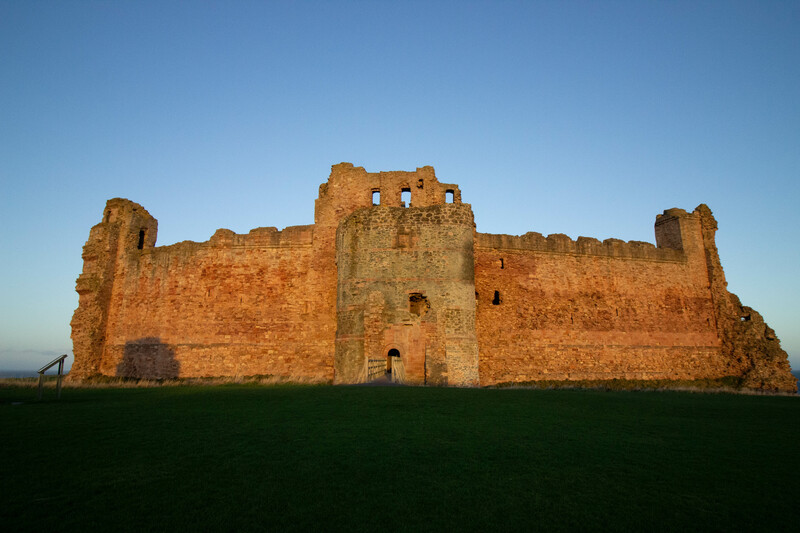 Tantallon Castle is around 45 minutes from Edinburgh and has free parking. If you're taking public transport, it'll take a little longer. The exact time will depend on how you're travelling and at what time - the good news is you can plan your trip pretty easily on Traveline Scotland. And if you're exploring this beautiful country by bicycle, the Sustrans website is handy for finding cycle routes. 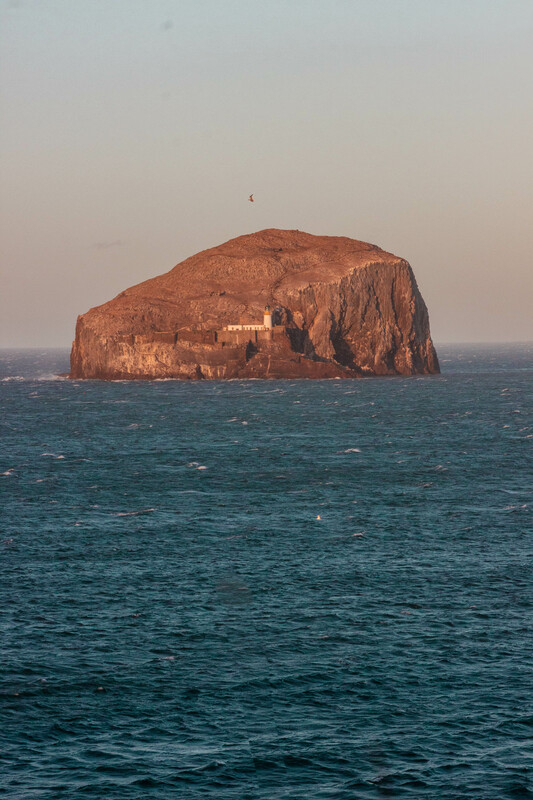 Should you have some spare time, East Lothian has some stunning beaches that are well worth your time. Tyninghame is our favourite, but we also tell everyone about Yellowcraig Beach and Aberlady Bay. 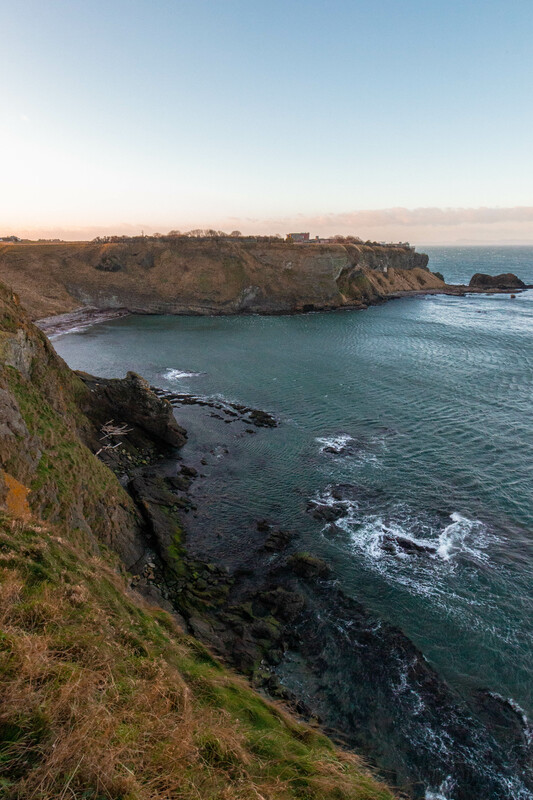 I've also recently learned there's a private beach right next to Tantallon Castle called Seacliff Beach, which you pay to park on.